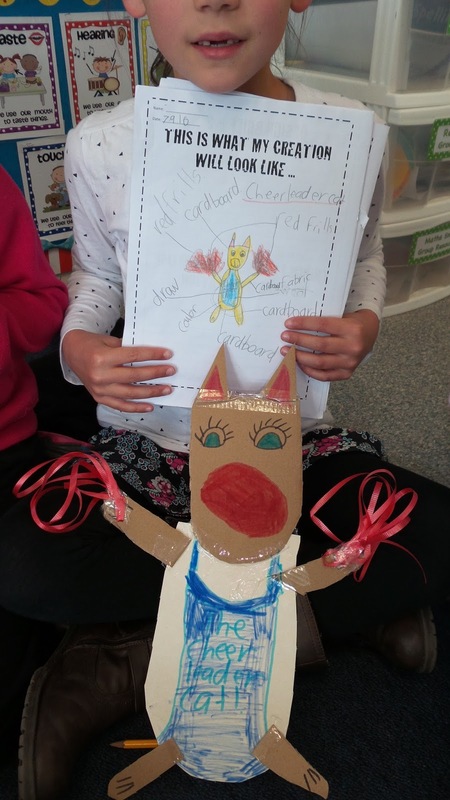 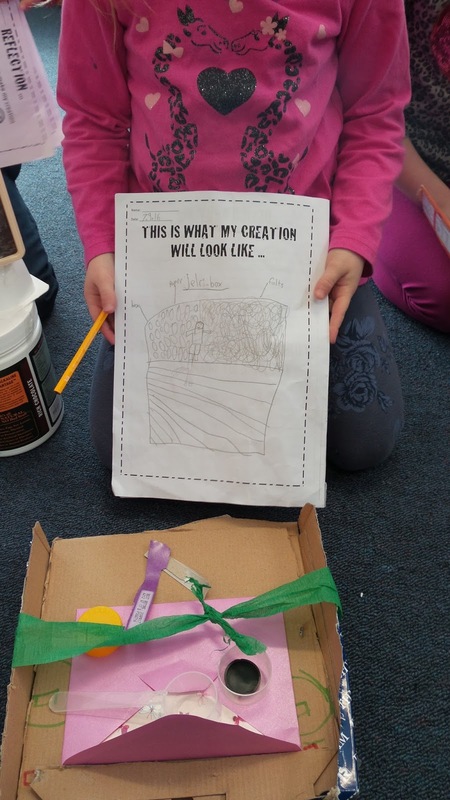 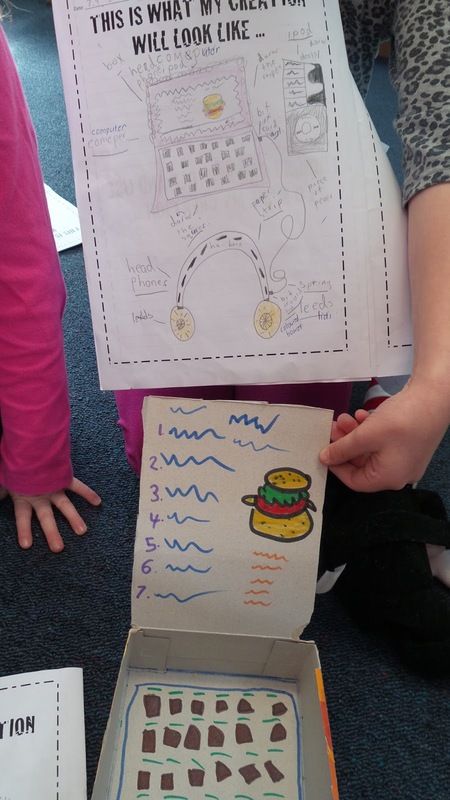 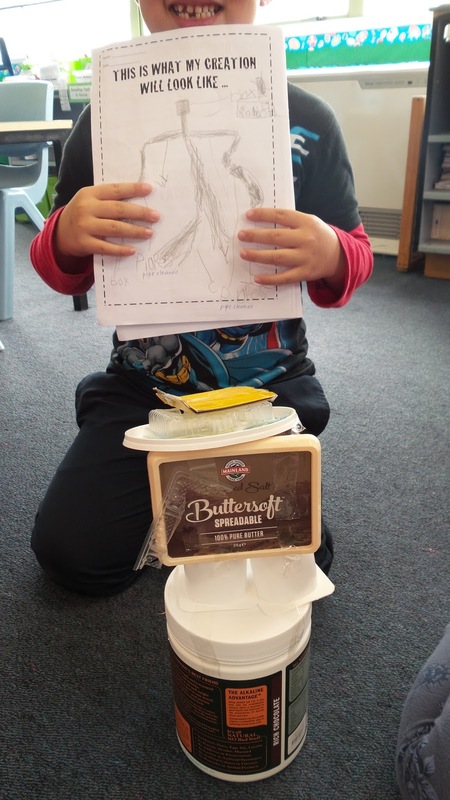 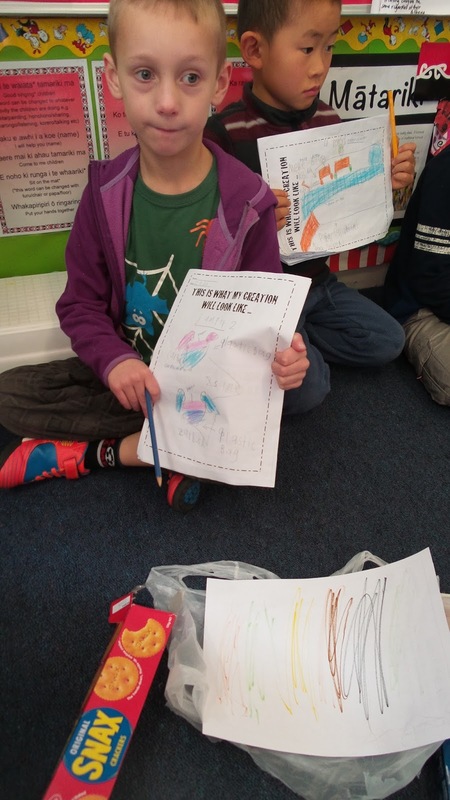 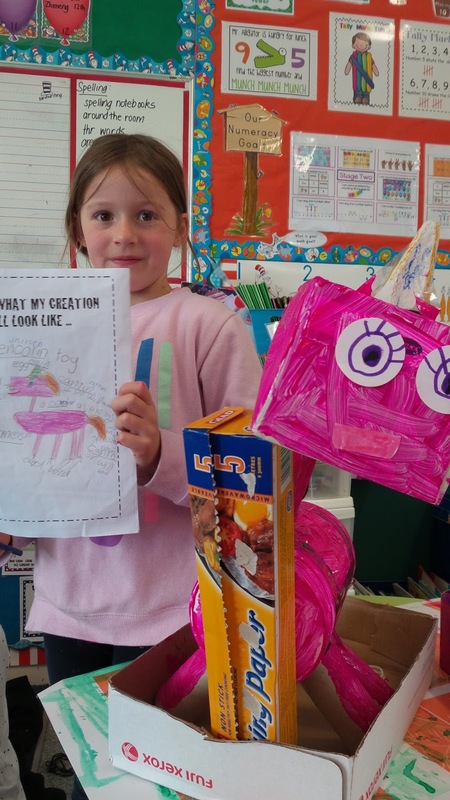 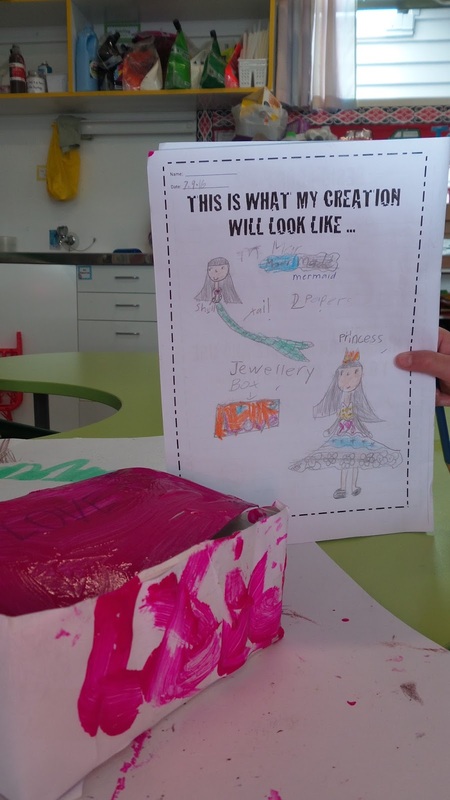 Throughout our Creating Champions inquiry we've been learning about the design process. 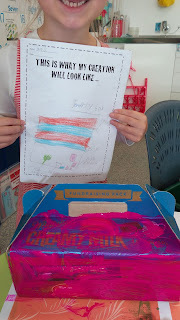 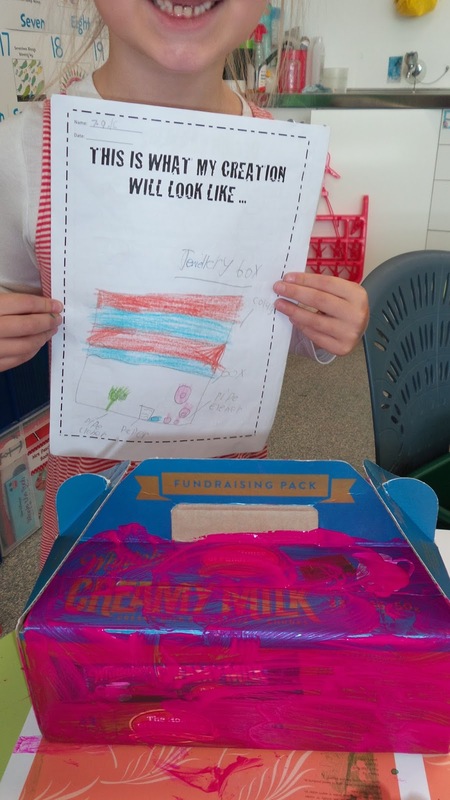 We've created a flag, country name and details, a uniform. 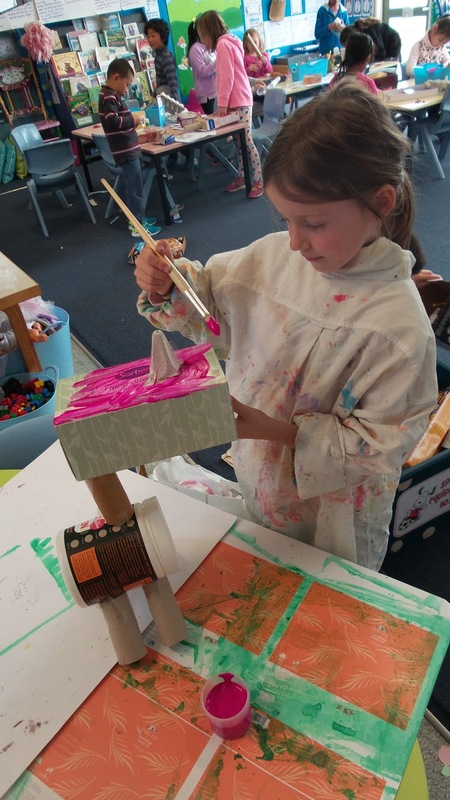 In Discovery we have the opportunity to simply get stuck in and 'create', but for some of us it's quite hard to come up with ideas and get things made with random materials. 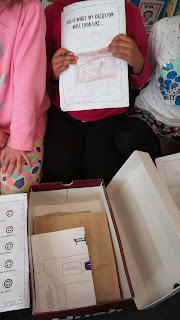 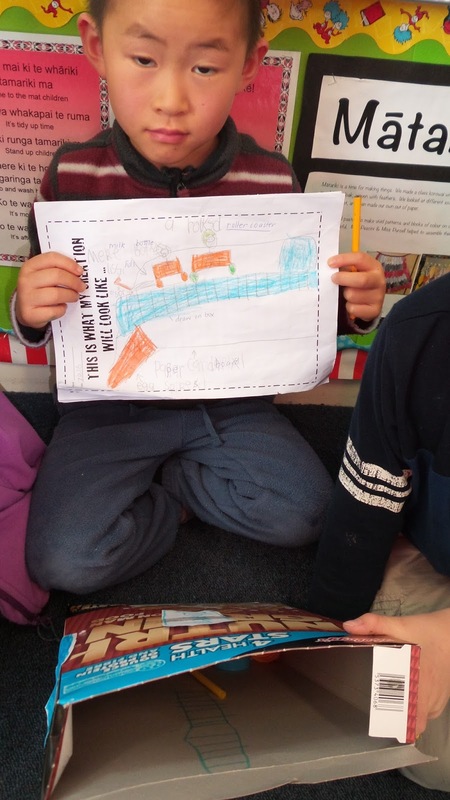 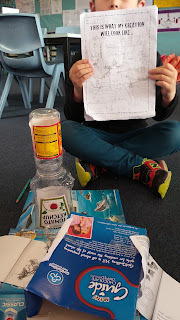 We've looked at a whole lot of different things that have 'plans' - experiments, recipes, house plans even and decided to try out making something in Discovery with a plan of our own. Discovery busy-ness ... a hive of creativity! 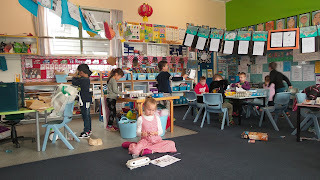 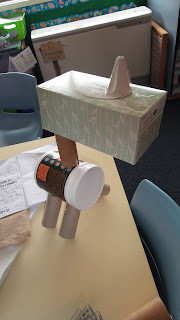 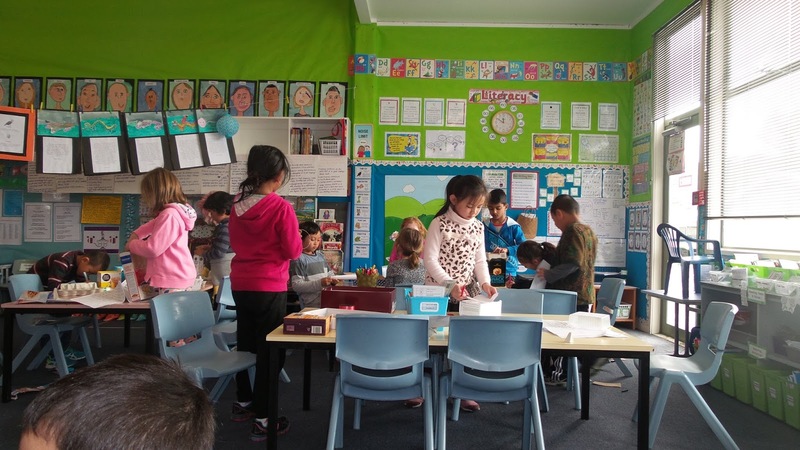 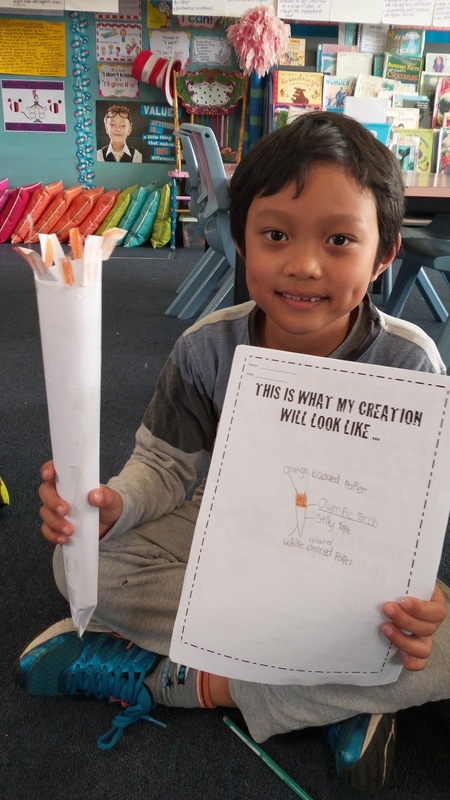 For the last two weeks we've designed our creations a couple of days prior to Discovery time, taking into account all of the cool recycled stuff that's been brought in to class (thank you). Then we've drawn and labelled our creations. 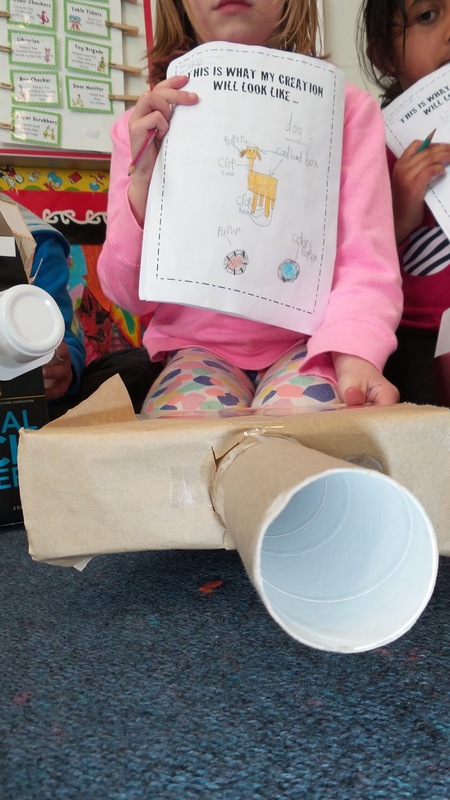 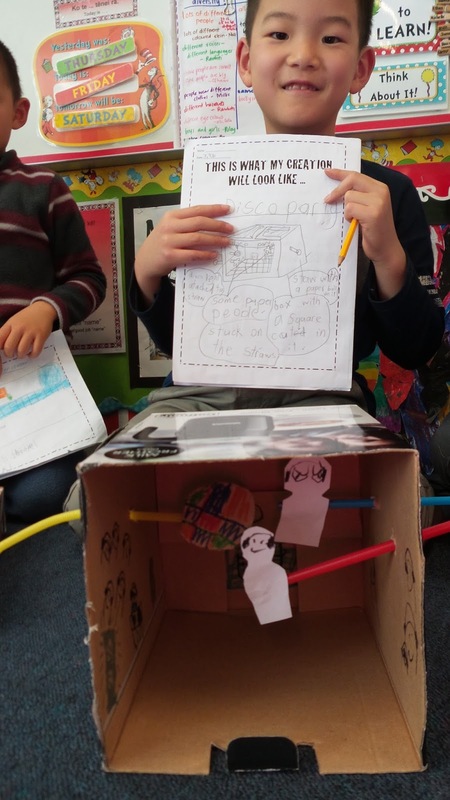 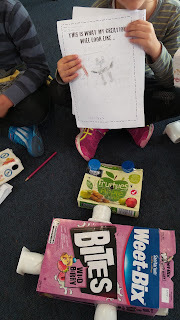 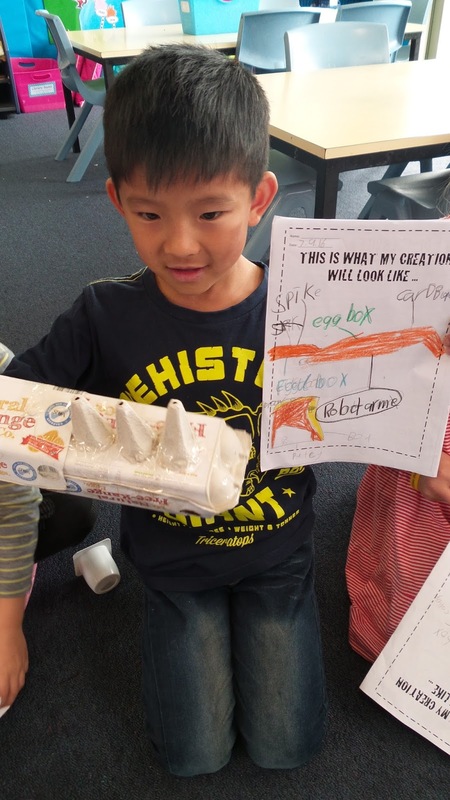 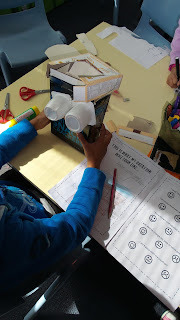 The next step was to identify all the 'stuff' we needed - like cardboard tubes, boxes, eggbox cartons, sellotape, staples, glue and so on. 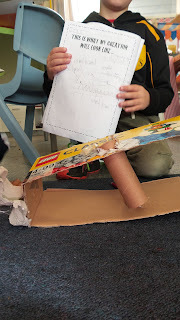 The last bit (and the hardest) was writing step by step instructions for what we needed to do. Glue, tape, paint, boxes ... all sorts of stuff! 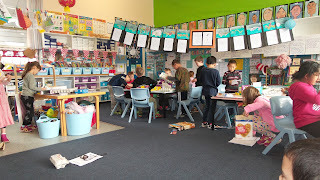 To practice this we all wrote some shared instructions for making an origami purse. Mrs P showed us how to make one and together we came up with the instructions. 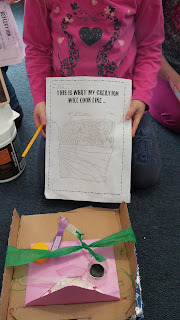 Then we tried to follow our instructions! It was very funny, Mrs P's purse ended up being a scrunched up piece of paper. 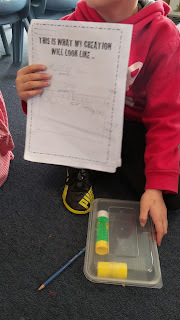 We realised how important it was to include ALL of the steps. Isobelle pointed out that it was a bit like making a cake and including all the ingredients but not how much of any of them we needed. The cake probably wouldn't turn out right. 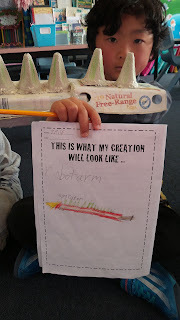 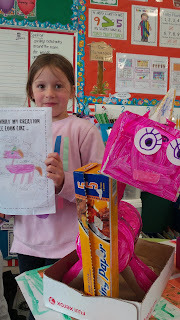 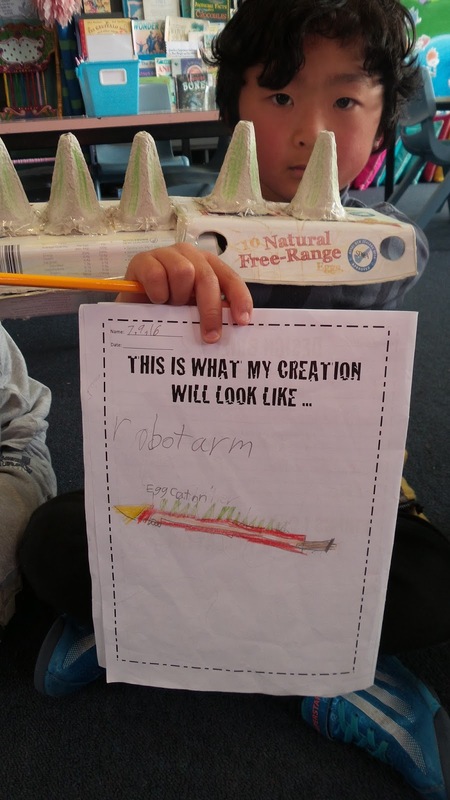 On Friday we got to work and following our plans, made our creations. We were pretty excited about it and found we all had a lot more time to create. Usually we feel like the time we have is very rushed, but we had everything we needed in front of us and could just take the time to make what we had really wanted to. plastic container and cardboard tubes. 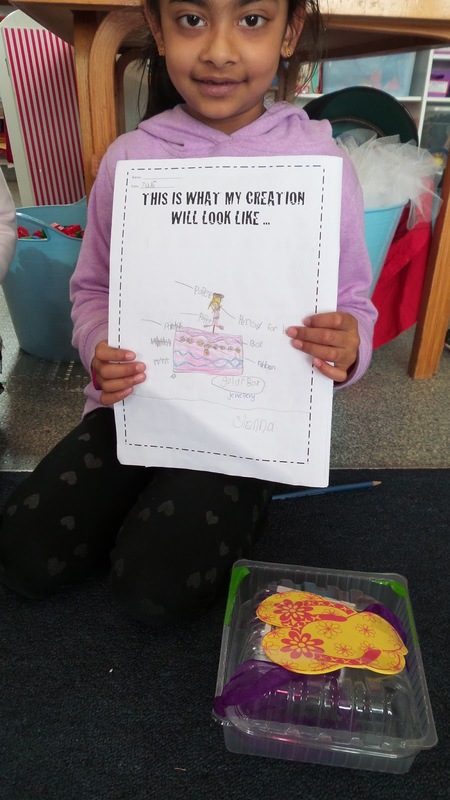 We love Discovery time. 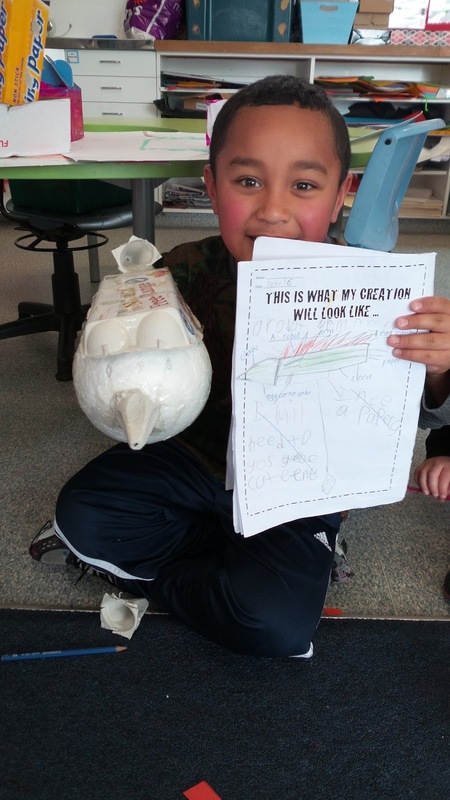 Thank you for your continued contributions of recycled materials. It is exciting waiting to see what ideas the kids come up with each week!